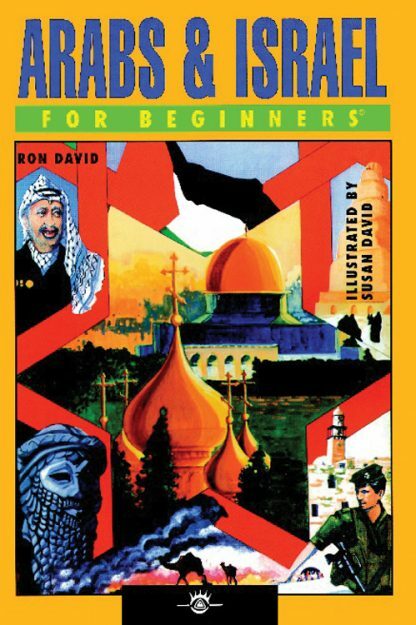 Arabs & Israel For Beginners covers the Middle East from ancient times to the present, tells the truth in plain English, and is one of the few non-scholarly books that is relentlessly fair to both Jews and Arabs. If you want to continue to believe fairy tales about Arabs in Israel, don�t touch this book � it will surely be hazardous to your closed mind. If you want the truth about 12,000 years of Middle Eastern History, then Arabs & Israel For Beginners is the perfect place to start. Ron David, a former editor-in-chief of the For Beginners series, is also the author of Toni Morrison Explained: A Reader�s Road Map to the Novels (Random House, 2000). Previous works for For Beginners include Arabs & Israel For Beginners, Jazz For Beginners, and Opera For Beginners. Ron has been a guest lecturer on all of these subjects across the United States, and he has been awarded a NJ State Council for the Arts fellowship for his novel-in-progress, The Lebanese Book of the Dead. He lives in Kihei, Hawaii, with his wife, the designer Susan David.